Recent news stories say fewer customers are buying and vendors are less interested in enterprise social software today. Why? Some people are surprised; others have concluded it is because social collaboration (or “social business” as some may call it) is dying. I disagree with this analysis. 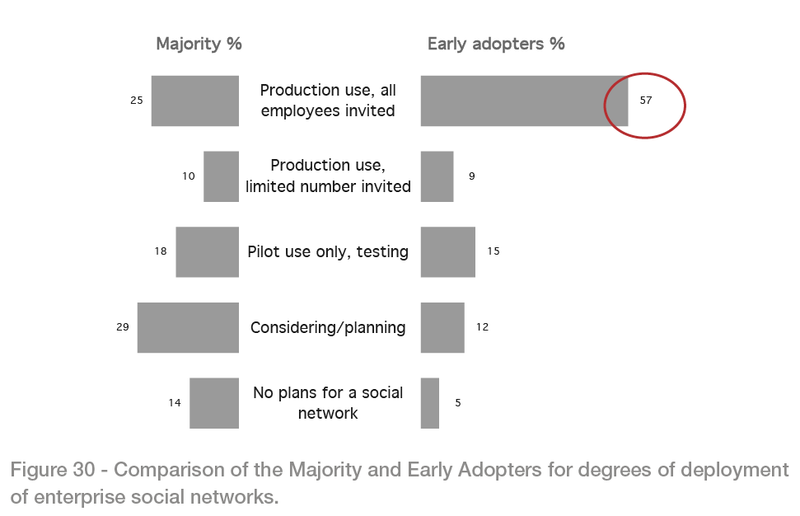 Data from my recent report The Digital Workplace in the Connected Organization 2014 tell a different story: Early Adopters have finished buying and are now focused on learning to work in new ways. The Majority are in “wait and see” mode. Let’s start with two recent news stories…. “As Jive explores sale, venture capitalists turn their back on enterprise social software. 2013 saw venture capital deals to enterprise social software companies fall over 70% while deal levels crumbled by 56%.” March 12, 2014 in CB Insights. And let’s see what data from 314 companies around the world show…. Deployment of enterprise social software has increased yearly since 2009, but slowed down between 2012 and 2013. 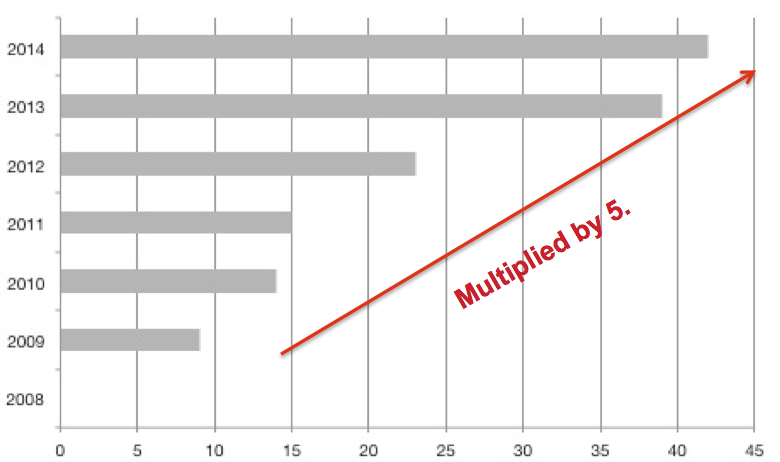 The chart above shows the deployment rate of internal enterprise social networks over the past 6 years. The top bar shows there’s plenty of room for more sales: today fewer than half of organizations have an internal social network deployed “enterprise-wide” or even just “in some parts”. Vendors caught in the gap between Early Adopters and the Majority. Venture capitalists of course want to invest where they will make money. You make money through sales. And sales are not happening right now according to industry experts. Why not? The explanation is simple. Early Adopter organizations have made their purchases. Nearly 60 percent have deployed a social network. The Majority of organizations are still testing the waters. Deployment is just the beginning: changing how people work is the real challenge. It’s one thing to deploy social software; it’s a whole different game for an organization and people to use it in meaningful ways. Although activity is not the best measure for effective use of social software, it is a starting point for perceiving whether or not people are using it. And the truth is that activity rates are low, even in Early Adopters. Social is still outside daily work. Most organizations are at stage three in the process I described last year at the 2013 Enterprise 2.0 Summit in Paris: “Five Reasons Why Social Intranets Have Not Taken Off” (see slides 4 through 9). Stage three is where social is present in the organization but lives in a corner or in a layer of its own. 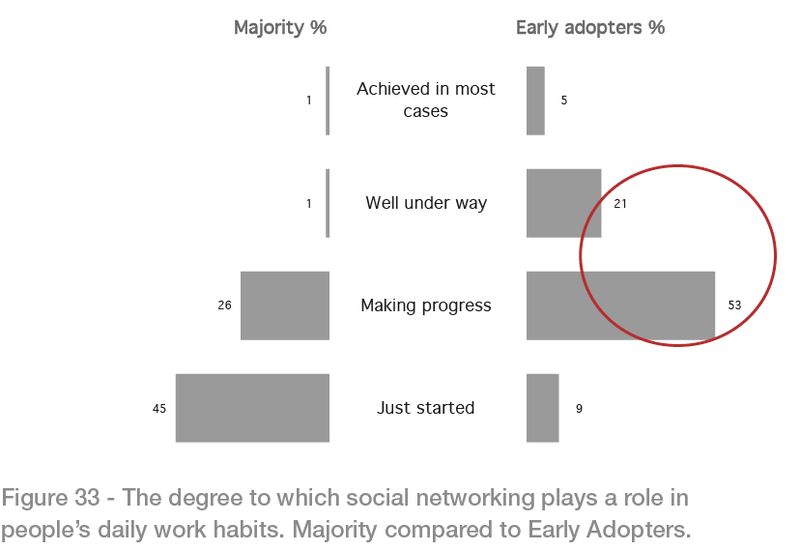 Twelve months later, few organizations including Early Adopters, say that social networking plays a role in people’s daily work habits. However, change is happening and real cases tell the story better than data. Three examples from “In Practice” cases in “The Digital Workplace in the Connected Organization” show how some organizations are using their enterprise social platforms for business needs. 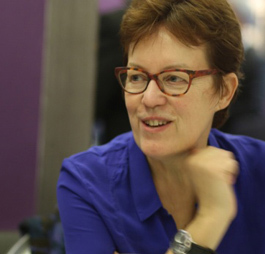 Alcatel-Lucent used their social network to help build their transformation plan. Aegon is reinforcing their collective intelligence through enterprise Q&A. Air Liquide has found business value in their competitive intelligence community. Business involvement makes the difference. The tipping point happens when business functions start working in socially collaborative ways. Although it’s obviously important for general employee support functions such as Communication, HR, IT and Knowledge Management to be involved in social collaboration, the significant difference is when Business gets involved. When Operations, R&D/Engineering and Sales/Marketing and Customer-facing people start leveraging social software to do their jobs, it means social collaboration is being taken seriously. 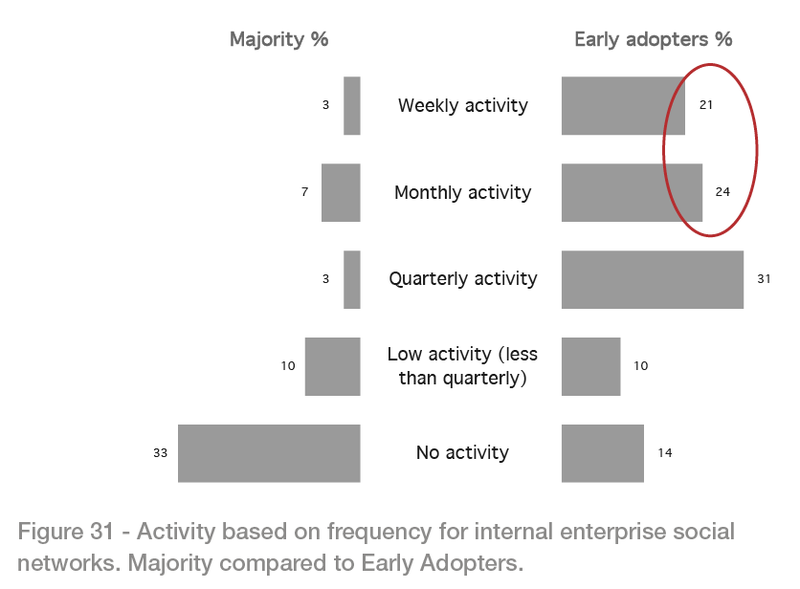 The chart below shows that Business functions in Early Adopters are more likely to be an “active and driving force” and/or “visibility active”. So why are venture capitalists losing interest and why are fewer customers are buying social software today? It’s because companies are not buying: they are doing. It is the beginning of a new era, an era of focusing not on the tool but on behavior and change in ways of working. The Early Adopters are currently tackling the big issues of How, that’s to say: How do we go about bringing change? The What – the social platform itself – is already dealt with, at least for Early Adopters. As for the Majority, we may need to wait a little longer before they join the movement. When there are more meaningful stories out there, coming not from vendors but from the organizations themselves, we might see deployment (and therefore sales) pick up again for enterprise social software. Whether or not it will be the current big ESN players that benefit or a new generation of social software solutions remains to be seen. Transformation happens step by step. There’s no big bang here. For the organizations in “wait and see” mode, it might be hard to catch up with the others later. Deployment of a tool is relatively fast compared to changing behaviors. The sooner you start, the sooner your organization will discover its own path. And although there are a few “good practices”, each organization will have to find its own way, step by step. This is not a big bang change we are talking about. 12 Years of Research On Organizations in the Digital Age Open Letter to Students Customized Report BYOD and High-Performing Companies Change Agents—Nearly As Important As Senior Leaders High-Performing Customer-Facing Workforce and BYOD Working out loud not yet the norm Hacking Work – Bring Your Own… Going social? Don’t create needs. Respond to existing ones.